HostGator has announced they will be increasing staff from 280 to 500 within 12 months. According to the Austin American Statesman, when they opened their Austin facility they occupied 40,000 square feet. Now the company has completely filed their 100,000 square foot office building on Cameron Road. HostGator is a web hosting company based in Houston, Texas. They were founded in 2002 by Brent Oxley. The company moved from Boca Raton to Houston in 2006. They decided to open a second facility in Austin after looking at Chicago and Orlando. HostGator has been experiencing rapid growth. The Statesman reported their hosting business has doubled in the last year to around 6 million hosted domains, 10,000 to 12,000 servers and between 400,000 and 500,000 customers. According to the company website; "In 2008, Hostgator was recognized by Inc. Magazine as one of the fastest growing private companies in America. According to Inc. Magazine, HostGator is the 21st fastest growing private company in America, the second fastest growing private company in the "business services" sector, and the fastest growing private company in Texas." 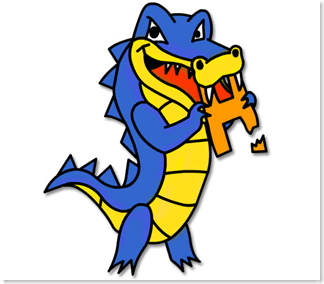 HostGator is very popular among our customers and we have had excellent service from them. We are very happy to see them grow their Austin staff and facilities.